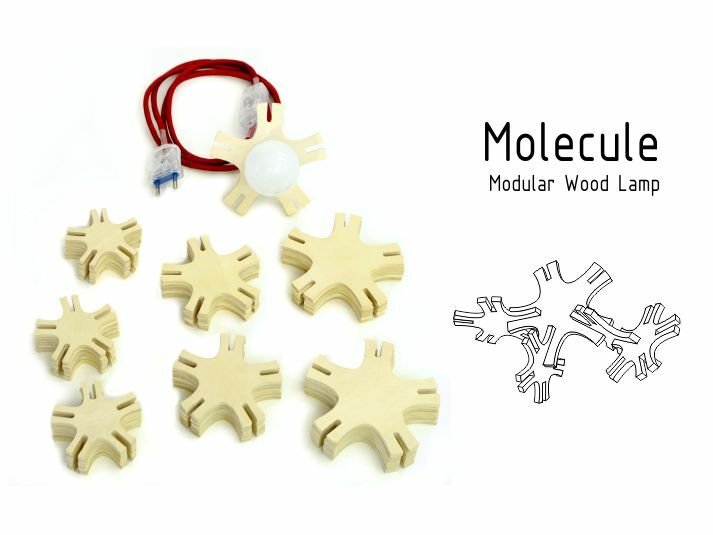 Molecule is a modular wood lamp, composed by 35 pieces in three different sizes, and a main piece that works as support for the bulb. The pentagonal pieces can be joined together and this way creating diverse structures. 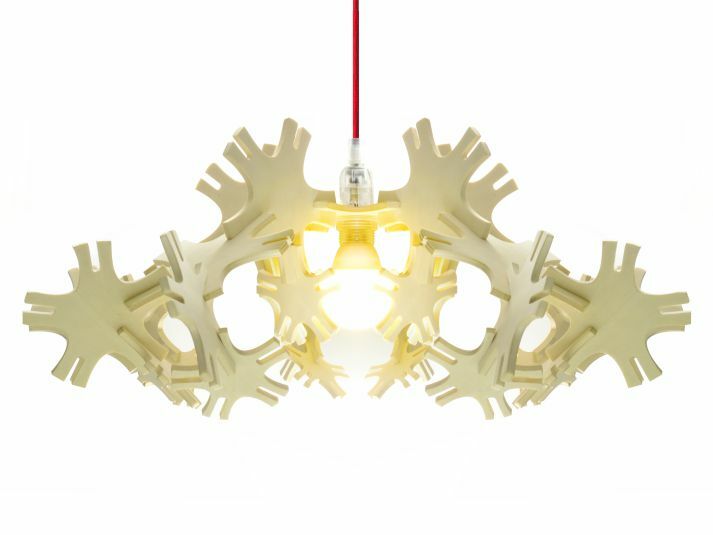 Several forms and types of lamps can be created, from a desk lamp to a ceiling lamp. 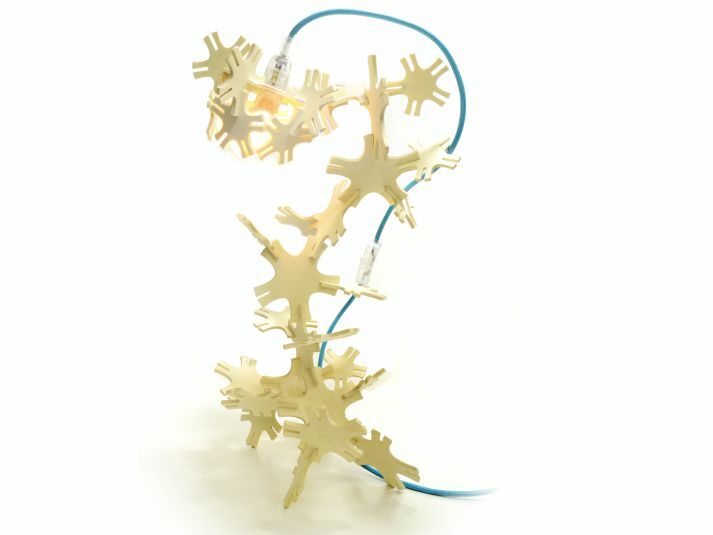 The lamp develops the creativity and imagination, being an interactive object that can turn into multiple forms.